Fill out our simple form and get quotes from local private chefs. Hire a Private Chef to create the perfect dinner party, doing all the hard work so you can focus on your guests! Be it a posh dinner party, a girl's night in or even christmas dinner, a private chef will ease your worries and cook up a storm. The intimate nature of this service allows you to customise the menu to your taste ensuring you have an unforgettable night of culinary splendour. Use Add to Event's free service to find and book the best Private Chef in your area. Our private BBQ and Hog Roasts are second to none, with various marinated meats to choose from, we are sure to make your taste buds wake up. We also provide Halal options. Some caterers will have a lower price for any children's meals. If there will be no children, please leave blank. Please consider that if you have selected numerous courses, your budget will need to reflect this. Anniversaries, birthdays or Christmas celebrations are the perfect excuse for dinner with friends and loved ones. 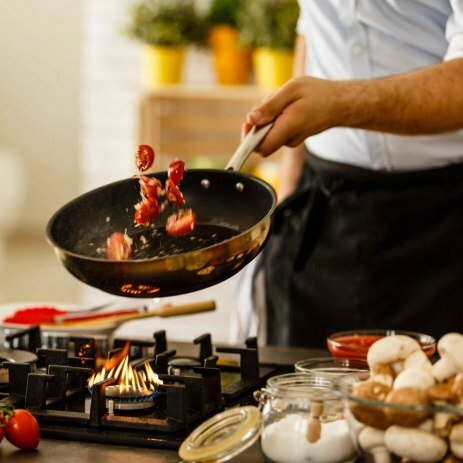 If you don’t want the hassle of preparing and serving the food, private chef hire will take the pressure off and give you time to spend enjoying your guests company. A tailored menu can be created, catering for any special requests or dietary requirements, or let your chef delight guests with a set menu of delicious, seasonal or locally sourced dishes. Private chefs can also cater for larger events and bring a team along with them to serve and clear up. This impressive option offers an exclusive and very personalised dining experience. To find a private chef who can cater for your event, browse below and complete a free quote request form.